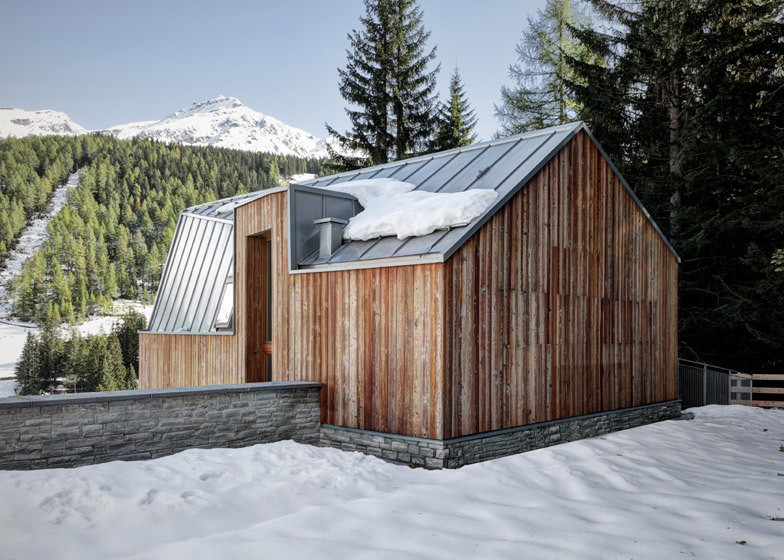 Italian studios ES-arch and Consalez Rossi Architetti Associati have added a timber guest house with an angular zinc roof to a villa in the Madesimo ski resort (+ slideshow). 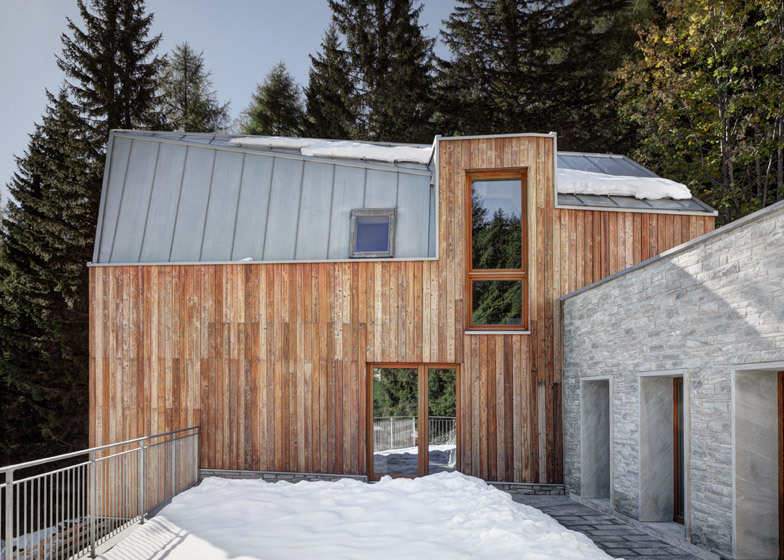 ES-arch and Consalez Rossi Architetti Associati were asked to renovate a large detached villa owned by a Milanese family, and to provide additional accommodation on a portion of the site that borders the neighbouring forest. 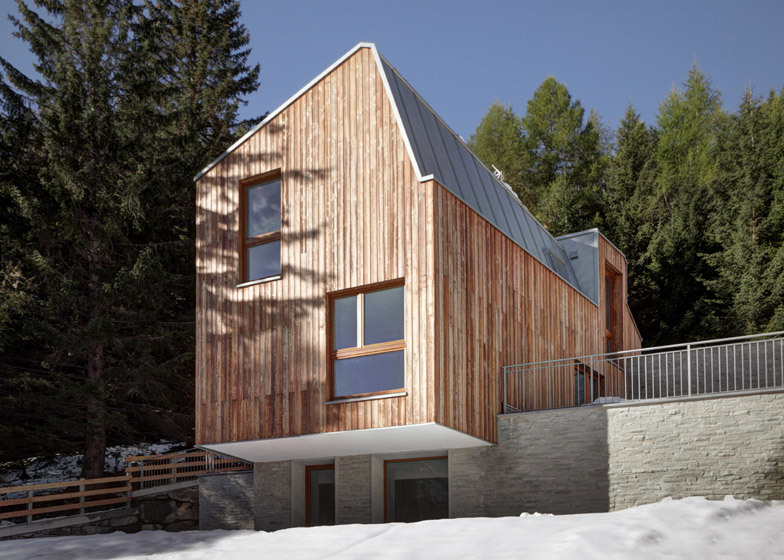 The 1960s villa was entirely refurbished and its exterior updated with timber sections and window shutters to match the surrounding properties. 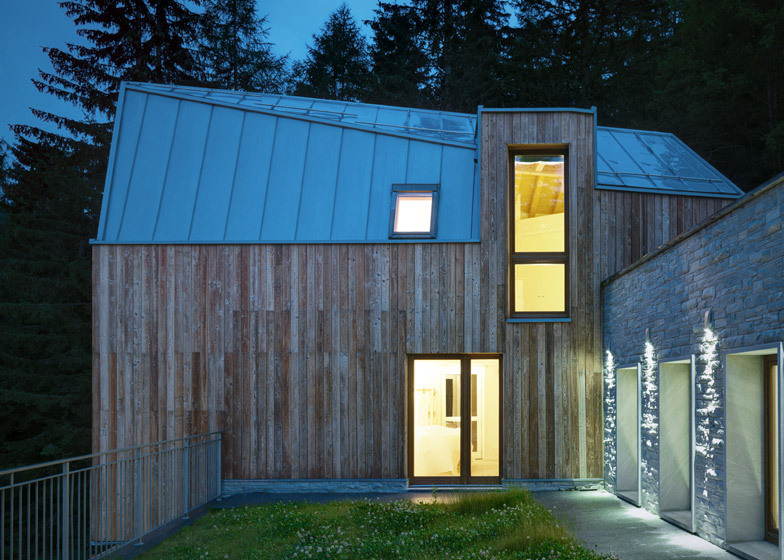 To comply with local planning regulations, any extension had to be connected to the original building so the architects introduced a single-storey stone passageway that crosses the space between the villa and the guest house. The connecting corridor divides the sloping site into an upper garden section and a paved terrace that can be accessed from both buildings. 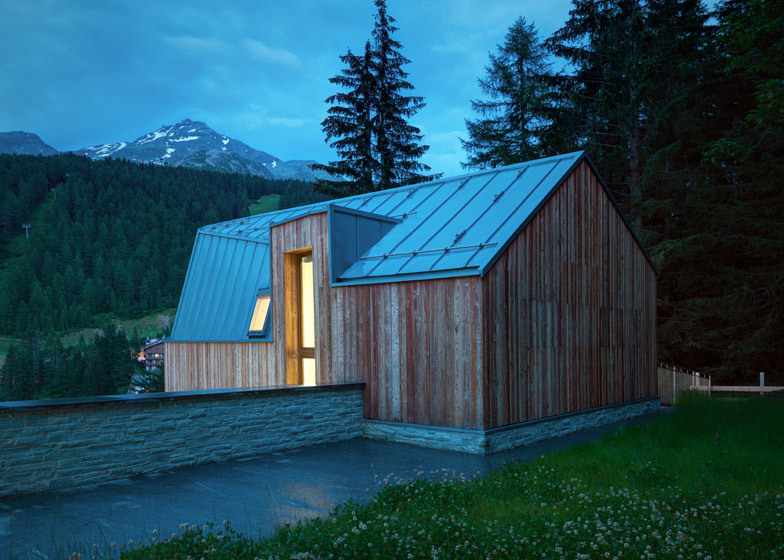 The two-bedroom guest house is constructed from precast concrete panels clad in larch and covered with a titanium zinc roof to create a visual connection with the villa. 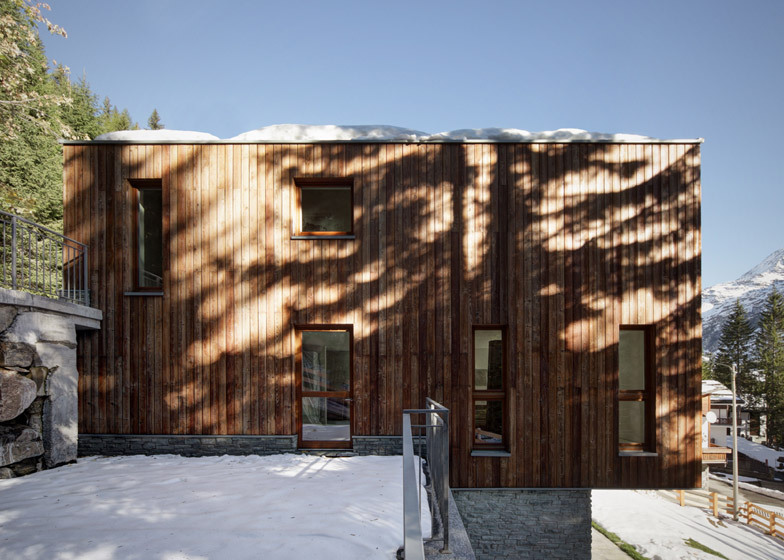 Its lopsided profile references the pitched roof elevation of the original building but diverges from this standard typology to lessen its visual presence when viewed from across the valley. 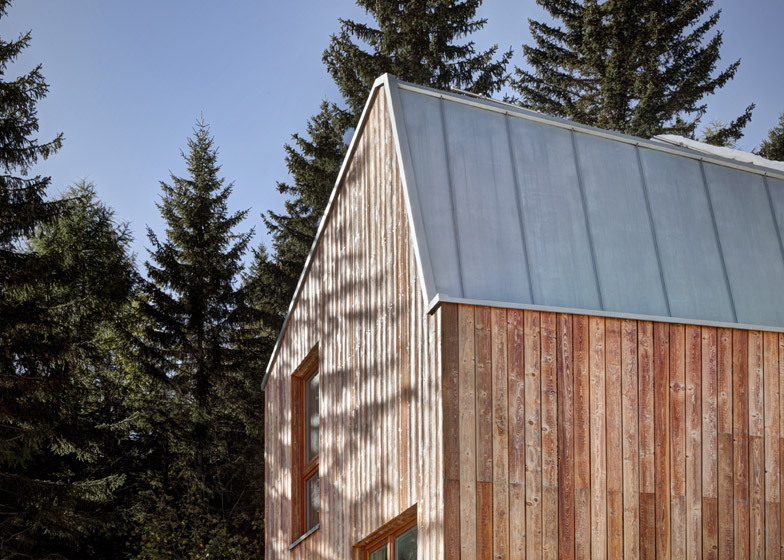 The rear elevation features a more standard gabled form, resulting in a complex roof structure that connects the two ends and extends over a narrow dormer window. 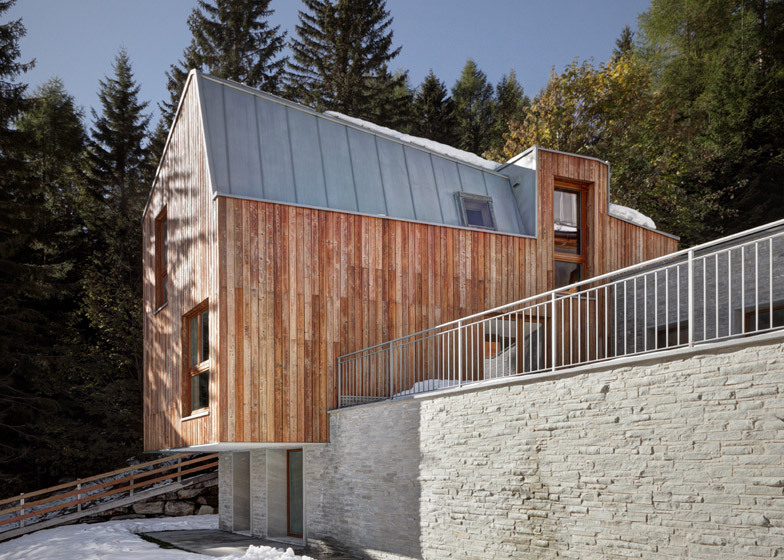 The elevation facing the main house angles outwards from the front facade to increase the internal volume, while the front edge cantilevers from the stone wall to protect the lower storey. 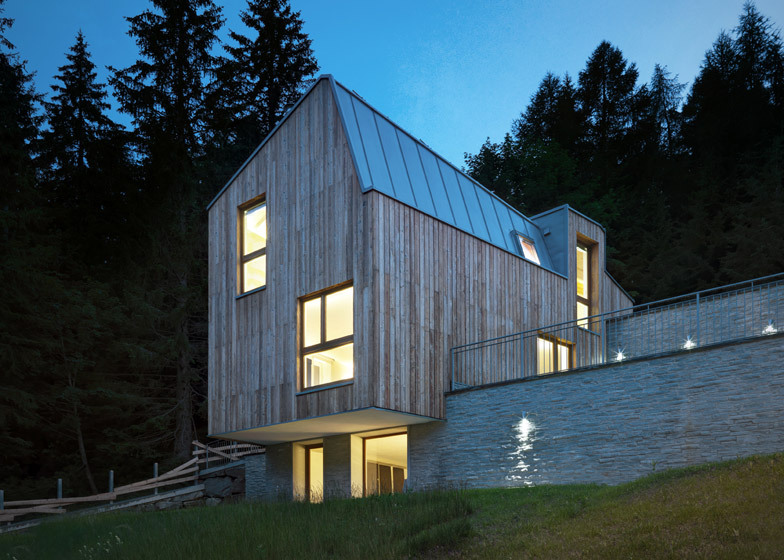 Stone commonly used for house building in the region was specified for the walls of the connecting spaces, while the untreated larch cladding will weather over time and was chosen to help the property blend in with the forest behind. 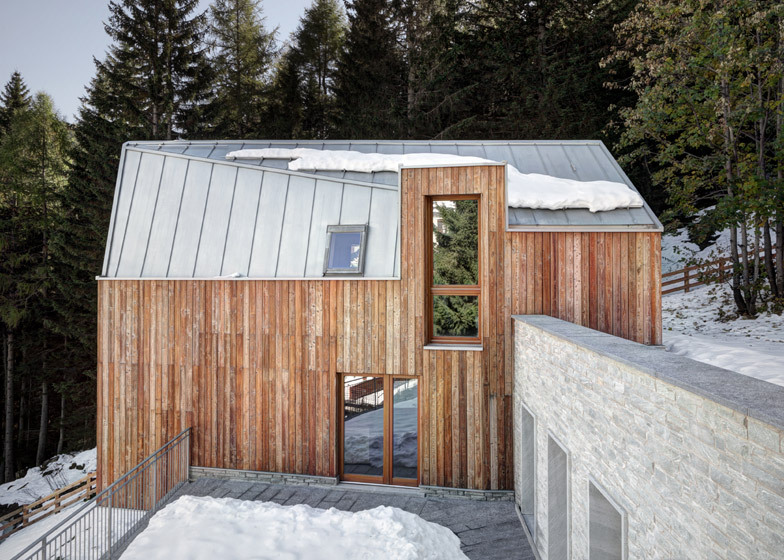 Inside the guest house, the unusual shape of the roof results in a faceted timber-beam ceiling in the top floor bedroom and an angular convergence of walls and ceiling in the staircase that rises up one corner of the building. 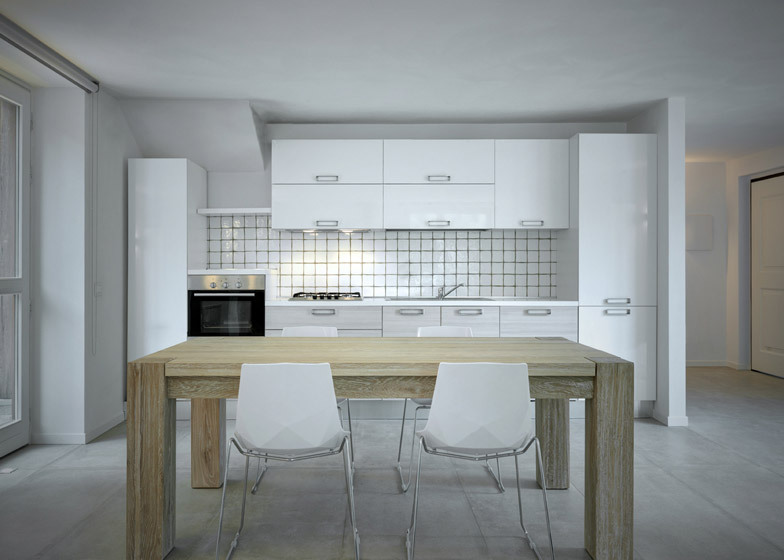 A light and neutral palette has been applied to the interior, including white fitted cabinetry and kitchen units, while large picture windows frame views of the surrounding landscape. Photography is by Marcello Mariana.